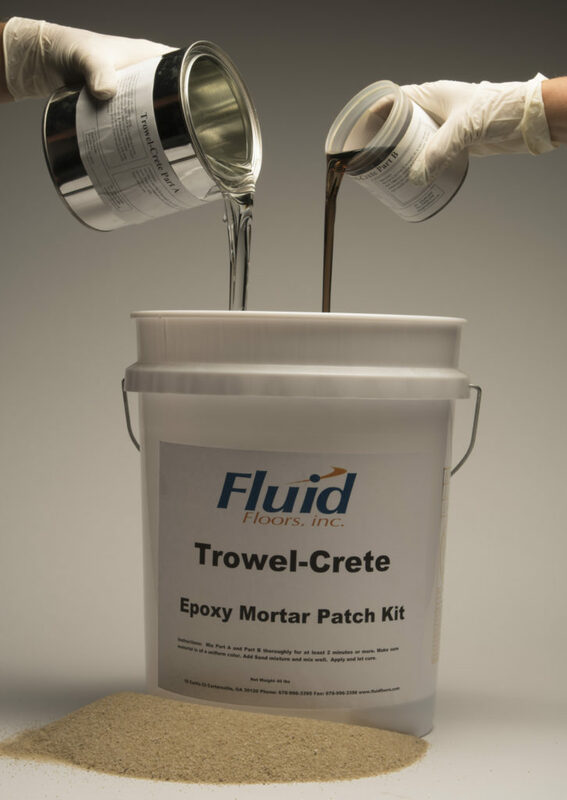 Trowel Crete is a three component 100% solids epoxy mortar designed for applications where excellent wear characteristics and strength is required. Trowel Crete is recommended for heavy traffic areas, forklift traffic and steel wheel equipment production areas. Trowel Crete is Not Recommended for immersion application for Acids & Chemicals. Color stability may be affected by environmental conditions such as high humidity or chemical exposure. Epoxy products are not UV color stable and may discolor if exposed to certain types of light such as sodium vapor lighting. Colors may vary from batch to batch due to variations in the silica filler. Mortar colors are not from our standard color chart. For chemical exposure areas, we recommend a suitable topcoat to reduce porosity and chemical migration. Applications Instructions will be included with your order.